Robyn and Sam knew they wanted a wedding day surrounded by their friends and family but not one of extravagance or formality. 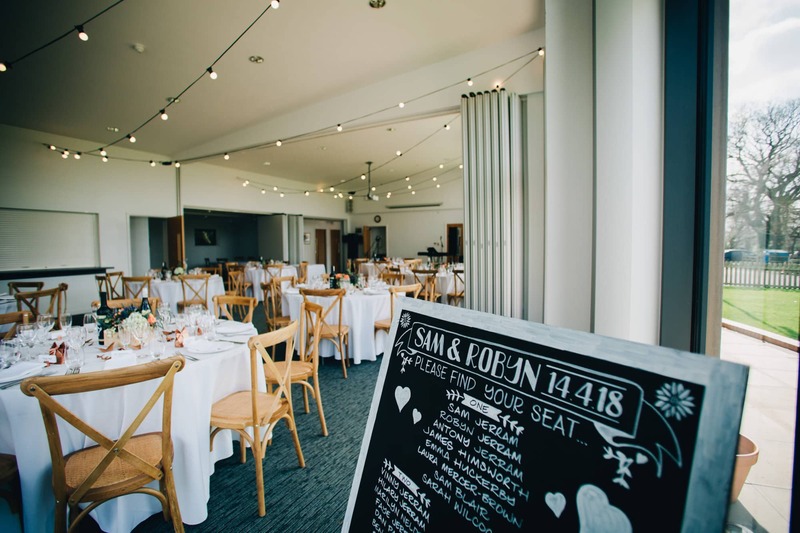 So the Hall at Marthall was the perfect venue for a couple wanting a relaxed and fun wedding day and who are creative enough to put their own personal touch on proceeding. They chose to hold the ceremony at the church just down the road from their house and they were surrounded by their friends and family for the day. I joined Robyn and her very glamorous tribe of bridesmaids at the couple’s beautiful home for the morning whilst everyone was getting ready. Such a great group of friends and Robyn was so obviously thrilled to have them by her side. Before very long it was time to head off round the corner to church where Sam was waiting anxiously for Robyn’s arrival. After a beautiful ceremony we all headed into the sunshine for some pictures at church before setting off to the Hall at Marthall for the reception. The couple had put such a huge amount of effort into the decor of the Hall. It looked amazing. Robyn had turned her hand to all the table decor – place settings, wedding signs and final touches. I love the bronze and blush theme that the couple chose. Really rustic and on trend. Guest enjoyed drinks from the beer barrow inside the marquee and on the patio in the beautiful sunshine. After the meal and with the sun starting to dip I pinched the couple away for some photographs in the beautiful Cheshire countryside that surrounds the Hall at Marthall. These two were absolutely natural in front of the camera and we had some real giggles whilst we captured some gorgeous pictures of Sam and Robyn. Massive congratulations to Sam and Robyn – thank you for choosing me to be a part of your day! Thank you to Dan from Dan J Wills photography for helping me out. 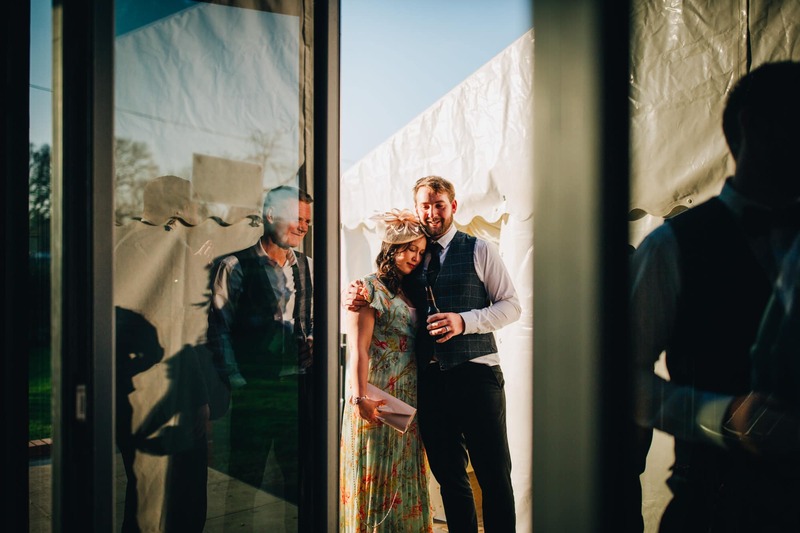 I love village hall weddings so if you’ve got one in the planning I’d love to hear from you!